The heavy-duty ratchet that can also be safely used as a hammer. Basically anyone who would like to work with a ½" ratchet. 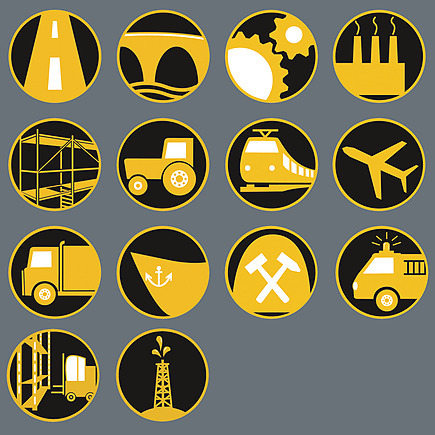 Typical fields of application are mechani-cal engineering, boatbuilding, mining, aircraft construction, bridge building, commercial vehicle construction and maintenance, railway and road construction and maintenance, industrial plant and equipment construction, high-bay warehouse construction, petroleum industry and many more. Non-removable sealed and hardened square drive for tough jobs. 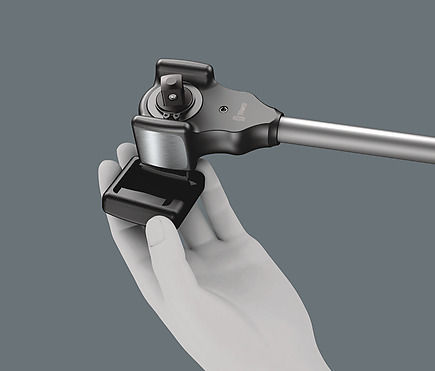 Changing the ratchet direction using a hardened push-through square drive ensures great resilience, since there is no susceptible switching mechanism that could be damaged by hammer blows. This is far more robust than a forward/reverse switch. 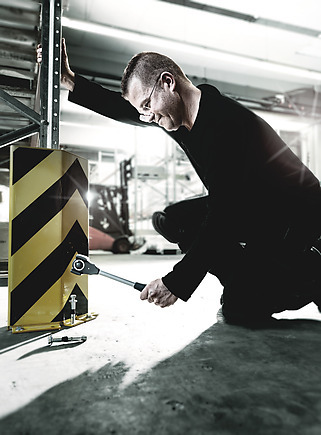 Tubular shaft minimises impact vibrations. Used with rubber pad attachments to protect materials and surfaces. The drop-forged hammer head is permanently pinned to the shaft in a form-fit joint. This guarantees an almost non-detachable positioning of the hammer head on the handle. Gives the robust 30 saw teeth the precision engineering effect of 60 fine teeth with a 6° return angle. The ratchet that can also be safely and officially used as a hammer. The KOLOSS is a reversible, heavy-duty ratchet that can be used with a load of at least 600 Newton metres. The dual ratchet teeth and the minimum return angle of only 6° ensure rapid and precise screwdriving even in confined situations. And the best thing: absolutely no impact on the hammer faces, however hard, can destroy the ratchet mechanism. 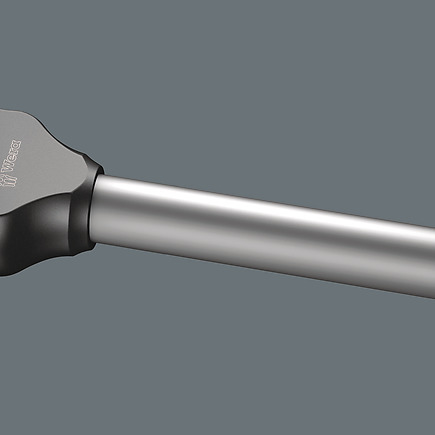 Multi-component Kraftform handle optimised to withstand pressure, impact and tensile loads; take-up for KOLOSS extension 8780 C and KOLOSS centring pin 8781 C at end of handle. 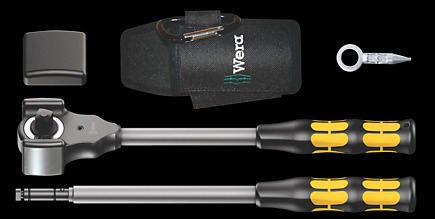 Also included in the set: 1 pad to protect materials and surface areas, 1 Koloss extension for the transfer of even more torque, 1 unlocking pin and 1 holster – so the Koloss can always be at hand.